Company 2’s Scotch and Soda began its life at Woodford — and that grassroots festival vibe stays with it, even confined to a theatre. The Judith Wright Centre again proves itself to be a chameleon space: Dan Black’s clever lighting design makes use of colourful string-lights to evoke the big top. Company 2 (known for Cantina) conjures an immersive speakeasy atmosphere in the round through simple design, costuming and music. In this case, the Crusty Suitcase Band binds the production together and takes it from great to unforgettable. Scotch and Soda features circus staples — acrobalance, aerials and slapstick — but what sets Company 2 apart is that, while each performer is at the top of their game, there’s a larrikin sense of chaos and play. It reassured me (just in case I was wondering if I was having a great time or not) to see two of Limbo’s cast members (Danik Abishev and Heather Holliday)* in the audience, having a damn good time. If international circus talent of that magnitude loves your show, it’s definitely good stuff. Chelsea McGuffin (co-director), whose signature move is to tiptoe across wine bottles, could balance her way out of any dilemma; David Carberry, Daniel Catlow and Ben Walsh bring chemistry to adagio and vaulting; and Mozes is hilarious on roller-skates but gobsmacking on trapeze. But Scotch and Soda is more than spectacle: the Crusty Suitcase Band is a vital part of the performance, with weird sax breaks and percussion-offs definite highlights. They even play the plastic bag, to great effect. Company 2’s last production, She Would Walk the Sky (World Theatre Festival, in collaboration with Finegan Kruckemeyer), struggled with incorporating sluggish prose. In Scotch and Soda, the company returns to its strengths, and the result is sheer delight. 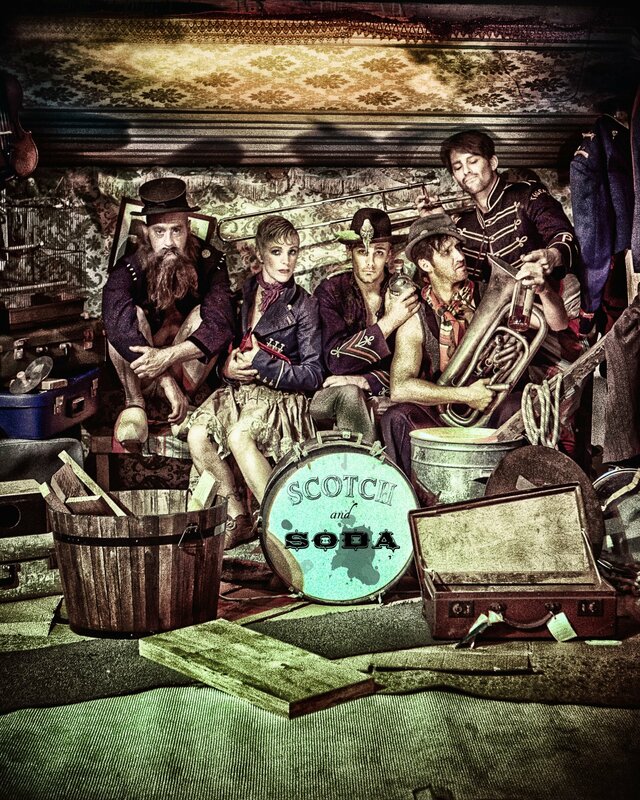 SCOTCH AND SODA played at Judith Wright Centre of Contemporary Arts from 24 to 27 September, as part of Brisbane Festival. Company 2 returns to JWCoCA in November with Sediment. *BTW, Strut and Fret’s LIMBO is completely astounding and I spent all my BrisFest dollars on seeing it twice.